At The Window Workshop, we supply, design and install all types of conservatories, from glass roof to polycarbonate to solid roof. We will guide you throughout the process to ensure you receive the best service possible. From the initial planning and design phase to manufacture of products to installation, we'll make sure that your conservatory is the best possible. We also work with a fantastic team on base work if required. 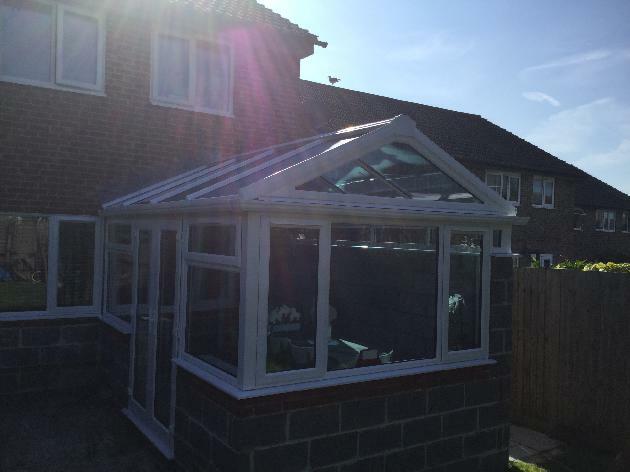 We offer a wide range of different styles to ensure that you receive a conservatory that you are 100% happy with and also meets the needs and requirements of your home. Among the styles available to you include Victorian, Georgian/Edwardian and Lean-To. Whatever you tastes or requirements, we will make sure that our service is tailored to you and your needs. Having a conservatory installed can bring a number of advantages to your home. Firstly, the additional space that a conservatory brings is flexible and can be utilised in a number of ways. It can be used as a dining room, office, family room or for storage. Furthermore, a conservatory is an investment and will overall increase the value of your home. For those looking to sell their home in the future, a conservatory is a great selling point for potential buyers. And even for those who are not interested in selling their property any time soon, conservatories bring extra room, added light and an enhanced living space in your home. Whatever stage you're at in terms of planning for a new conservatory, we're here to help. Whether you're looking for professional advice as to what's involved in getting a new conservatory or are looking for us to provide you with a free, no obligation quote, we can be of help. To get in touch, you can either give us a call on 01273 589066 or send us a message via our contact form.